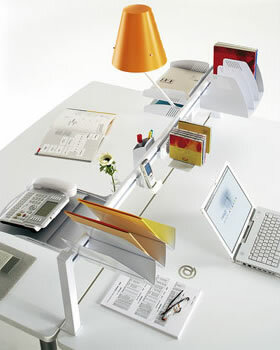 Wave is an excellent way to free your office desk from clutter and organise your work space using a wide range of accessories to customise your office furniture First Stage choose height and length of office desk accessory rail. 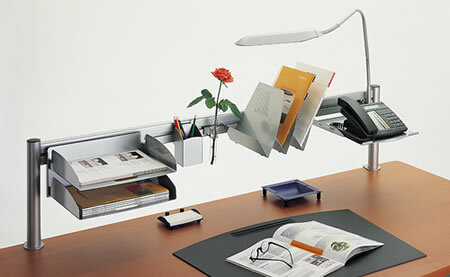 Second Stage choose range of desk accessories . If you need any help or advice on our office furniture or desk accessory ranges just call us and we will be happy to assess your requirements and quote accordingly. Contact Home Office Design Ltd or e-mail info@homeofficedesign.co.uk.